From the World Financial Center in New York to the Petronas Towers in Malaysia and the International Finance Centre in Hong Kong, Pelli Clarke Pelli has had the great fortune to design many prestigious projects. Our portfolio includes retail and mixed-use projects, academic buildings, libraries, museums, research centers, residences and master plans, and we have served private clients, businesses, institutions and government agencies. Our work has received critical acclaim and hundreds of design awards, including the American Institute of Architects’ Firm Award, the highest honor for an architectural practice. In 1995, the American Institute of Architects awarded Cesar Pelli the Gold Medal, its highest honor for an individual. In 2004, the firm was given the Aga Khan Award for Architecture for the Petronas Towers. 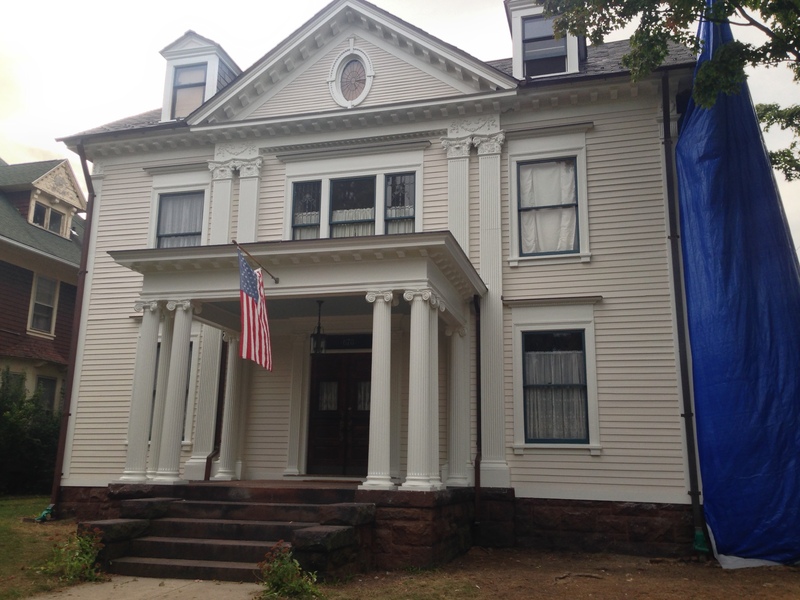 For the past six years, two principals at PCPA have been doing a painstaking and loving restoration of their New Haven home, culminating in significant exterior work executed during the past year. Chadsworth made a significant contribution to that effort. Photos courtesy of: Robert Narracci | Pelli Clarke Pelli Architects. 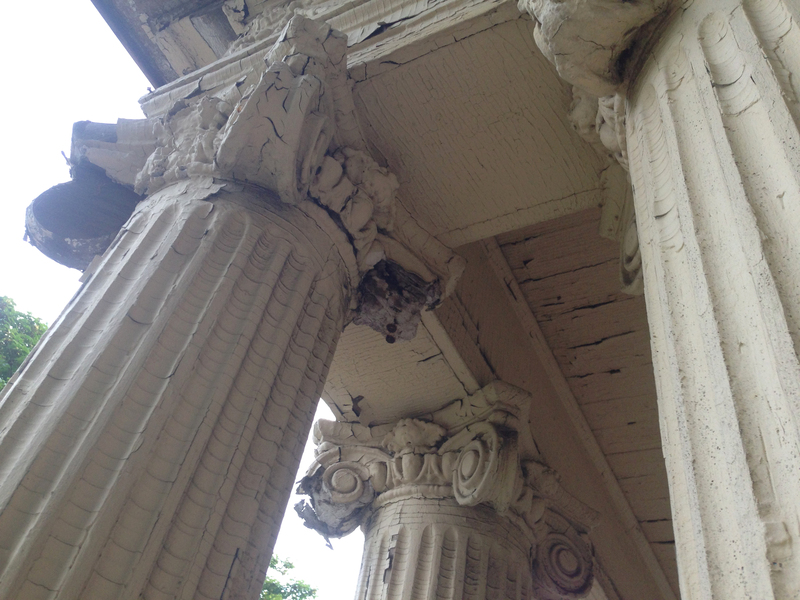 Consulting with Chadsworth, the architects chose a Scamozzi column capital, which was nearly an exact replica of the severely damaged originals at the main entrance. 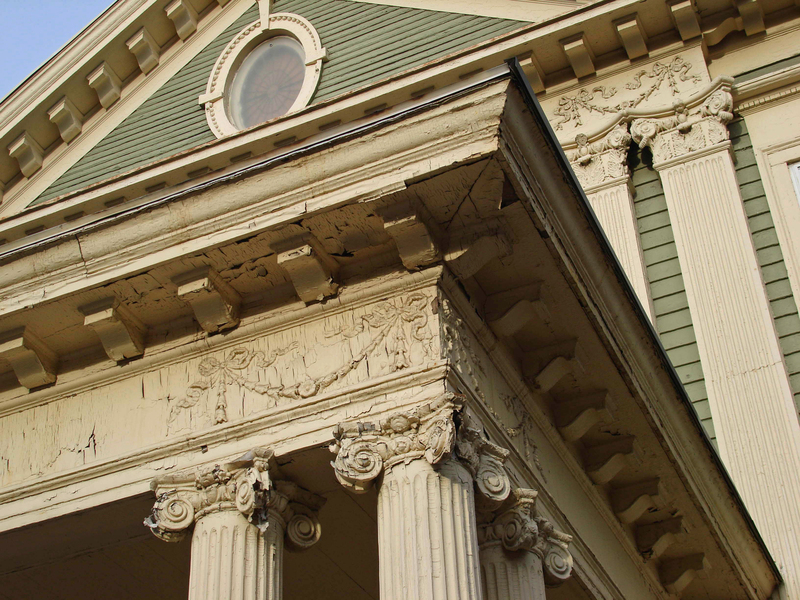 Like much of the house, which had been neglected for many decades, the original capitals ultimately proved to be held together by 115 years of paint. The capitals are a key feature of a strongly symmetrical façade, and the architects were grateful to remain true to the original design intent. Brown & Von Beren Architects were very active in New Haven, and this house represents a late and rare example of very strict Georgian revival done in the East Rock neighborhood. The original house owner, Moritz Spier, was a warm-hearted coal merchant known to have carried the accounts of hundreds of families through the many economic downturns of that period. The house had few owners, and its highly detailed interior woodwork has thankfully remained unpainted. Because of its large foyer and wide open central staircase, the geometry of the house helped it survive a trend of partitioning large houses into Yale graduate student apartments. 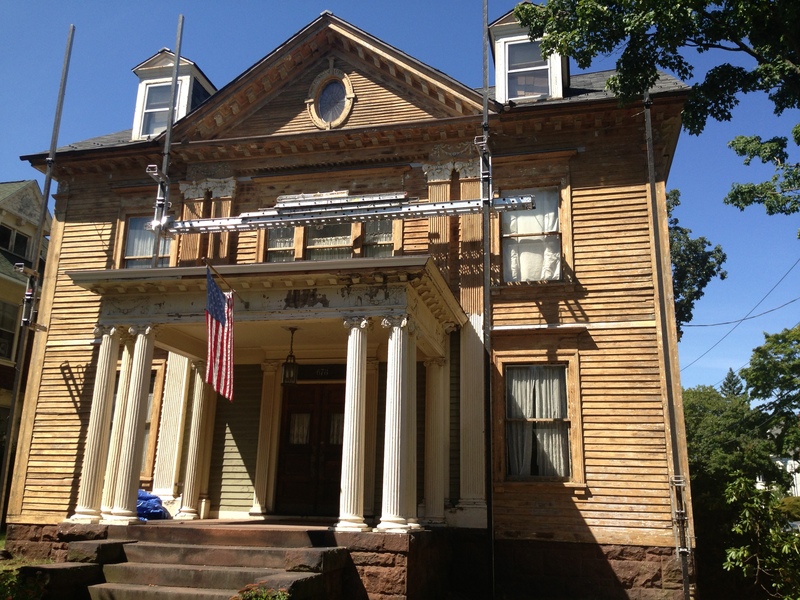 The current owners are pleased to bring this grand structure back to life. This entry was posted in Renovation Projects, WHO USES US? 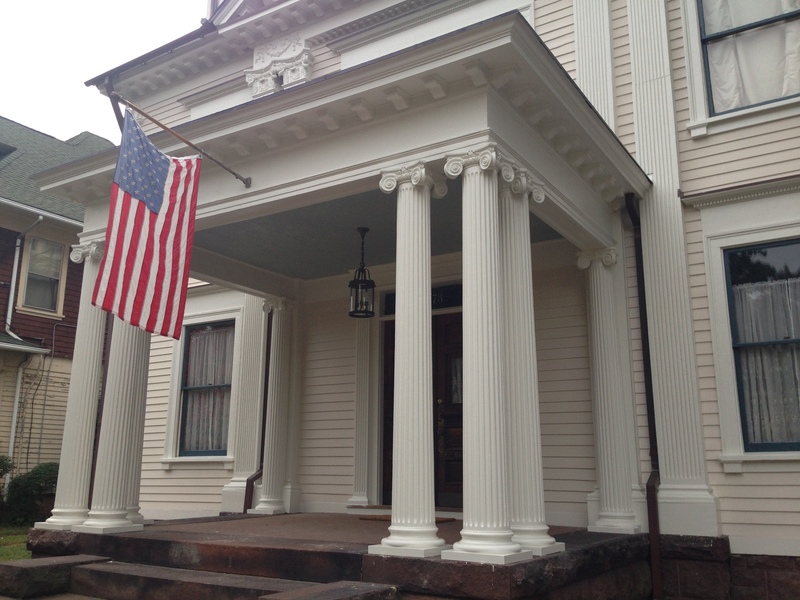 and tagged architectural columns, chadsworth columns, classical architecture, columns, new haven ct, Pelli Carke Pelli, scamozzi capitals by Chadsworth Columns. Bookmark the permalink.